Whew! What a weekend. 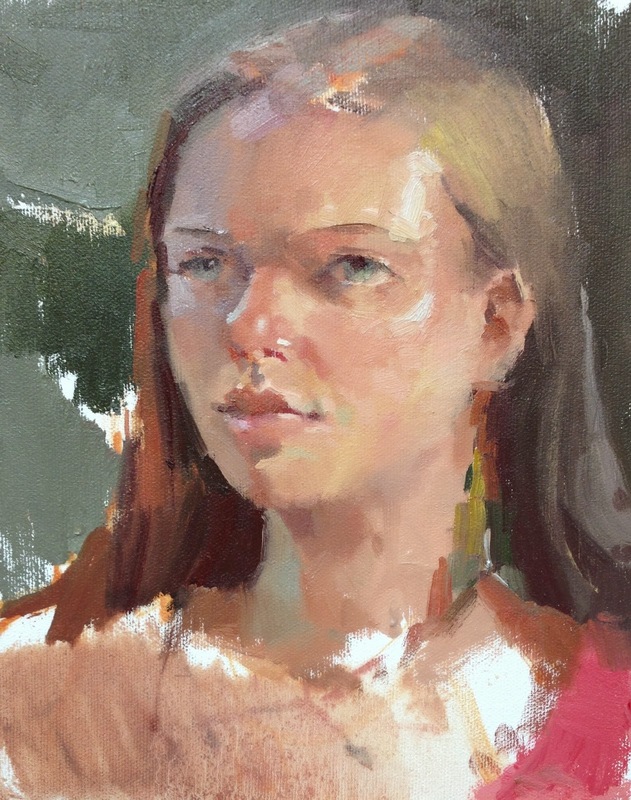 I just spent an exhilarating three days working with a fantastic group of artists, exploring the Zorn palette and honing our portrait skills. We were hosted by one of the gems of Eugene, Oregon Art Supply. As my students remarked over and over: taking a painting class in an art supply store is like being a kid on Christmas! Above is my demo from the first day of class. Nothing breaks the ice like a little performance painting! 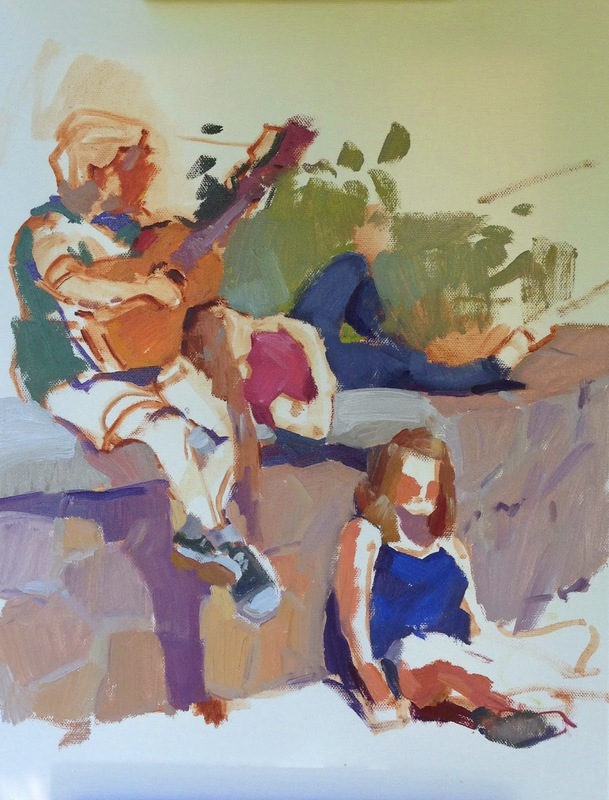 In the afternoon, we did some one-hour sketches - and lots and lots of mixing with our limited palettes of Cadmium Red, Yellow Ocher, Ivory Black, and Titanium White. 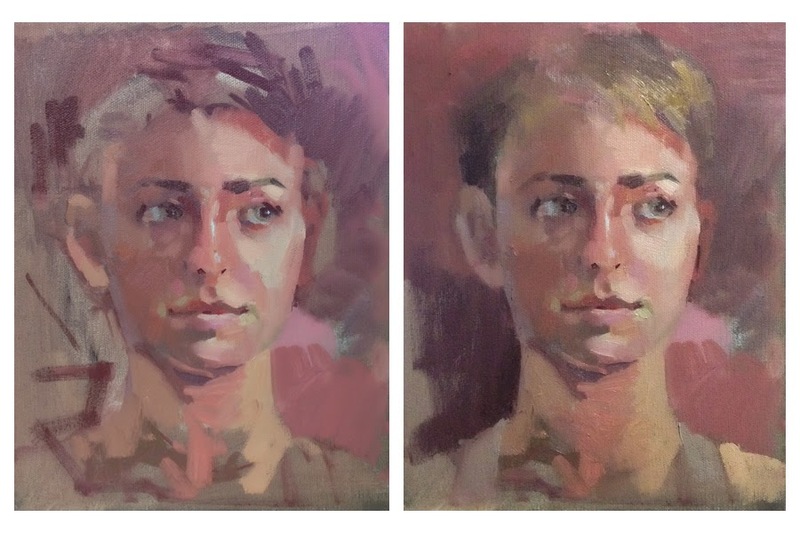 30 minute Zorn palette sketches, oil on paper, approx. 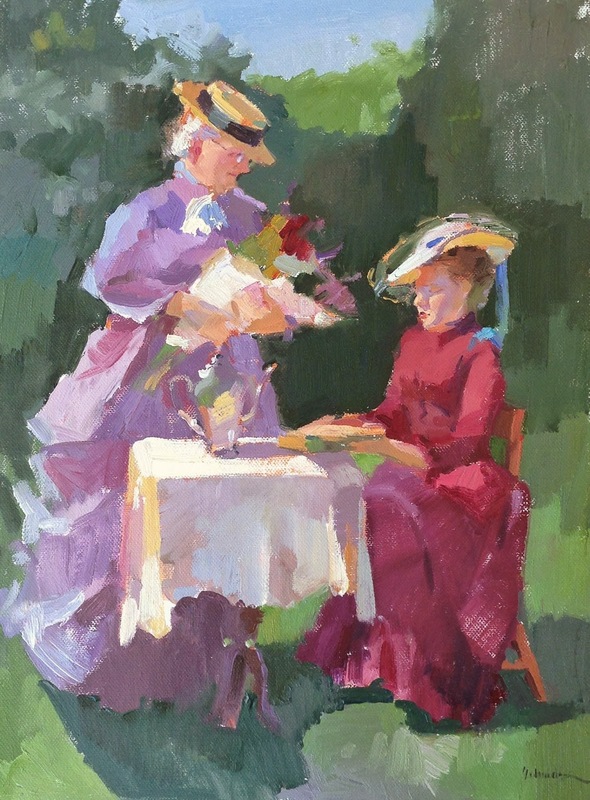 6x8 inches. From photo reference. Painted by me. On the third day, we rested. Just kidding! 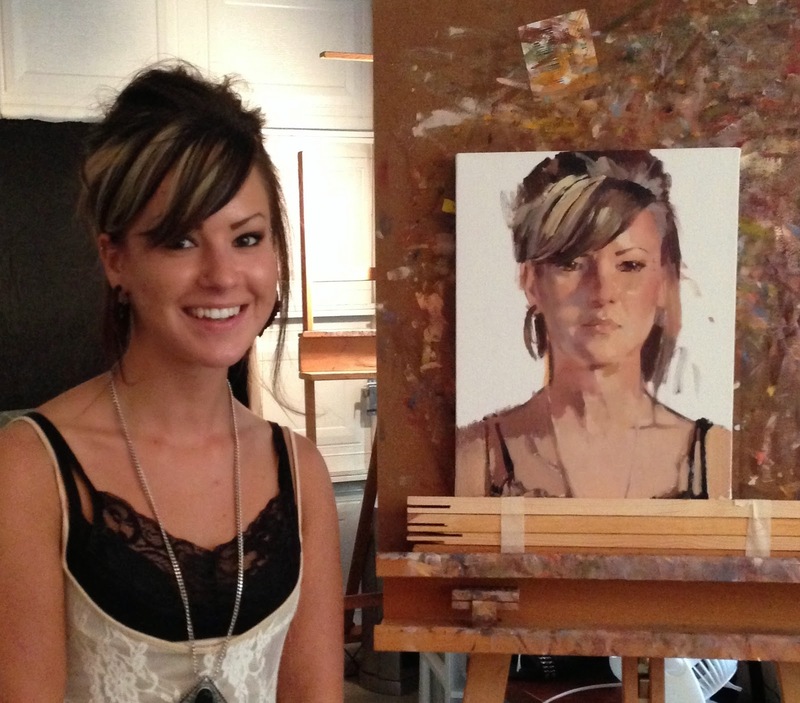 On the third day, with yet another lovely and patient model, we painted up a storm. Here's my demo, approximately 2 hours. I can't believe I didn't get a shot of the students' paintings. They were phenomenal. It was three days of hard work, every minute was fun, and I can't wait for the next time! 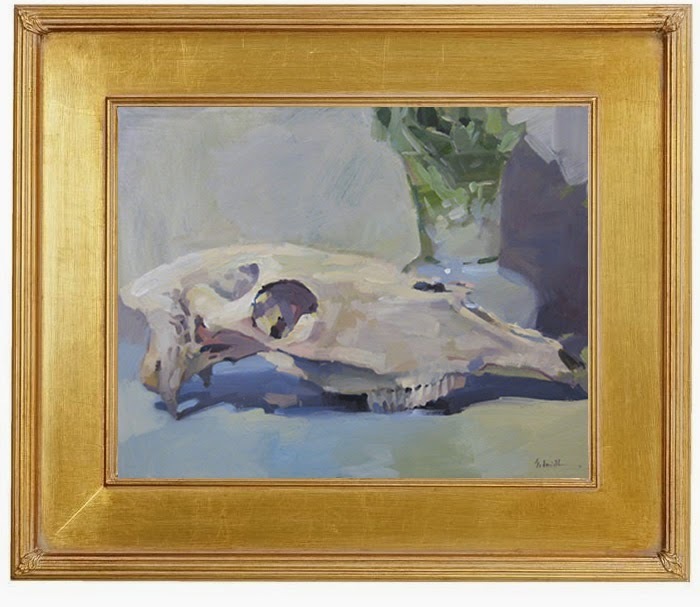 Lucky for me, another session of Painting the Zorn Palette Portrait is happening November 8-10th. 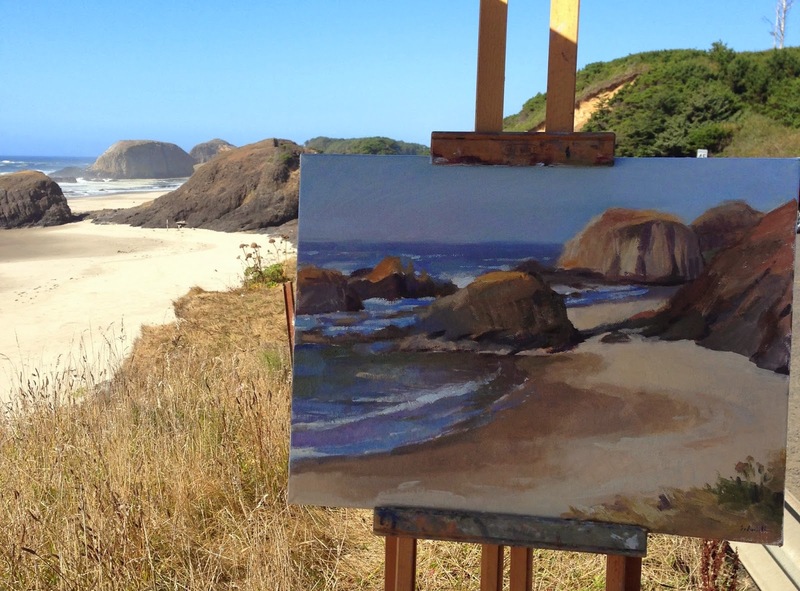 Call Oregon Art Supply to reserve your spot. Tuition is $200, plus a $30 model fee. Only 6 spots available, so don't wait if you'd like to join us in November! 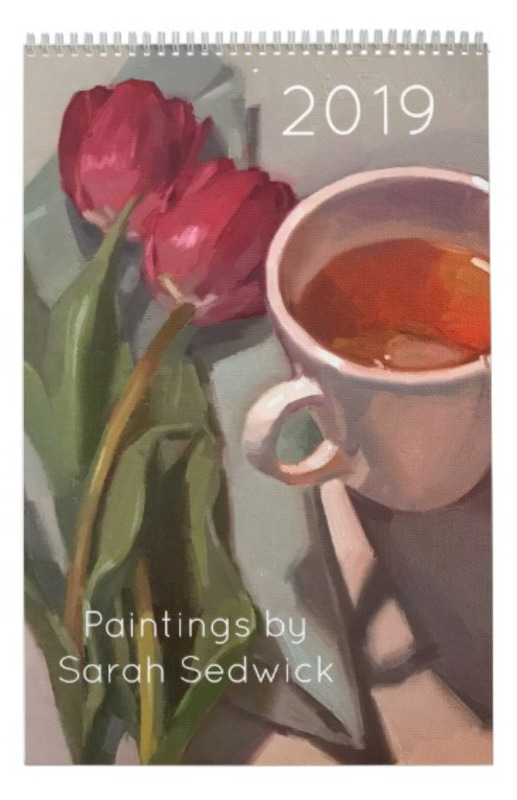 I used a Zorn palette - that's Cadmium red, YellowOcher, Ivory Black and white only. It's amazing what you can do with so little. 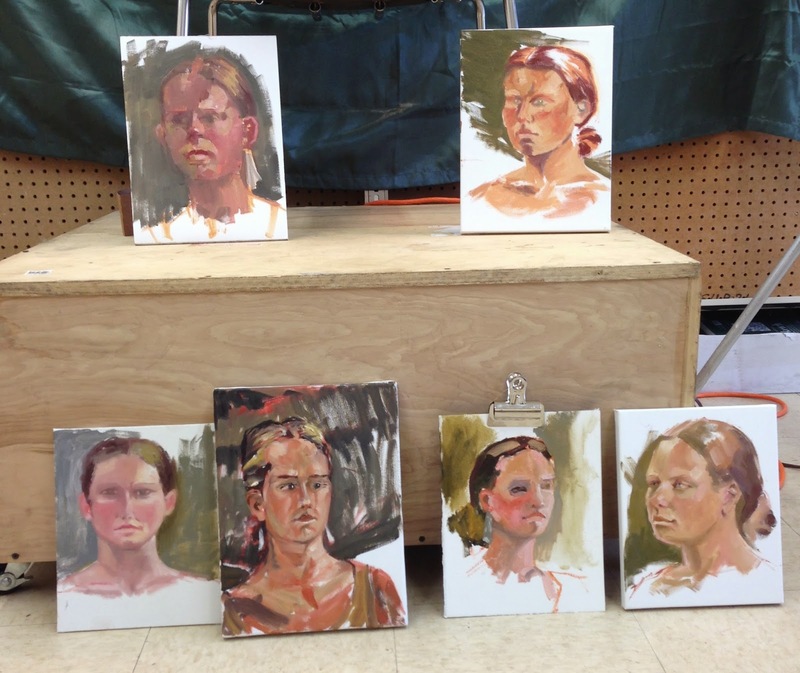 I'll be taking my Zorn palette show on the road this weekend, with a three-day portrait workshop at Oregon Art Supply. It starts tomorrow, so stay tuned for updates! 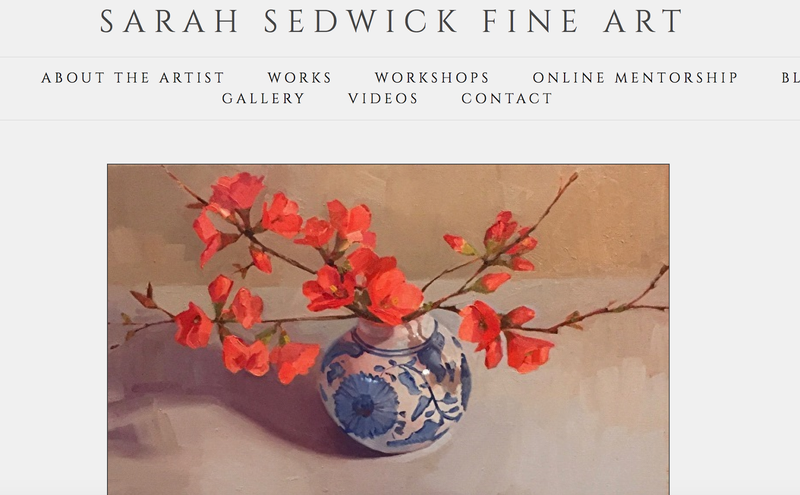 And yes, I'll be teaching this workshop again before the end of the year, if there's demand - so call Oregon Art Supply and let them know you're interested (if you are)! I'm calling this 'no.1' because I plan on painting this dead guy many more times (since I'm hosting him for a year, while my friend and model Tahni is in Sweden studying Swedish) She found him in a field near her family's farm south of Eugene years ago, and has kindly entrusted him to me while she's abroad. This isn't the first time art people have leant me skulls. Isn't life beautiful, artists? The vase is full of Lamb's ear leaves, which Ellie picked from our yard - we're not in short supply - it's the only thing we seem to be able to grow! I kind of thought they worked, color-wise. 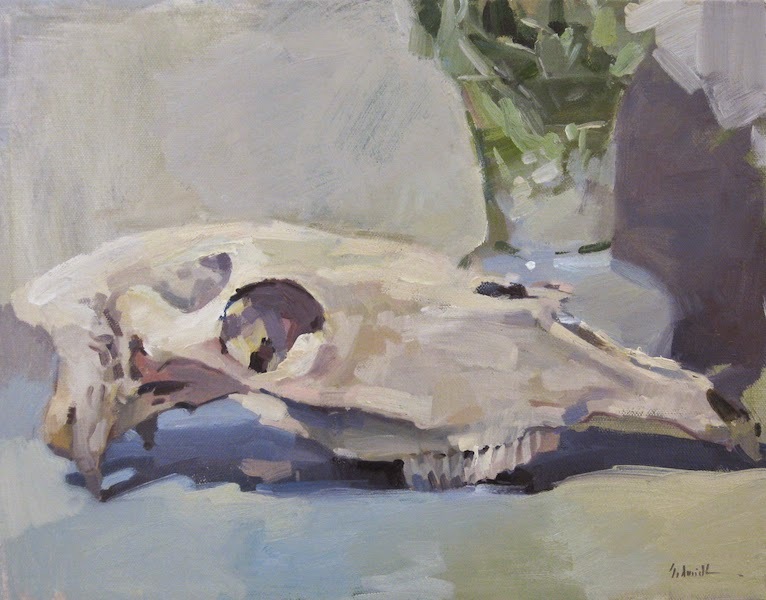 Then, as I was painting, it dawned on me: Horse skull and lamb's ears. Hm. 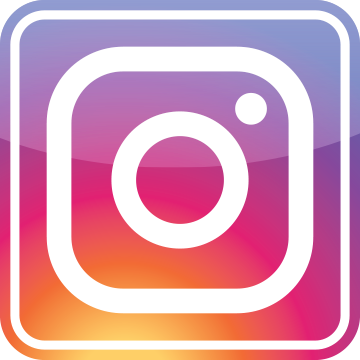 Reporting from Hillsboro: Warning: LONG and picture-heavy post! Promising painting spots everywhere I looked. 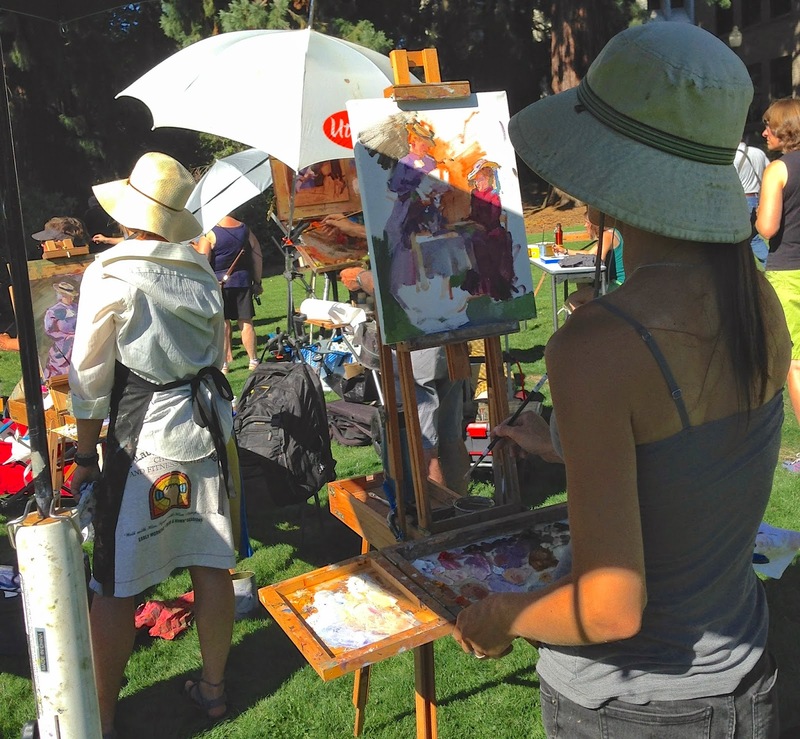 A huge reason I wanted to attend Hillsboro's paintout was that they provide "Tableaux Vivants," or "Living Pictures," in case you don't speak French (which I certainly don't). 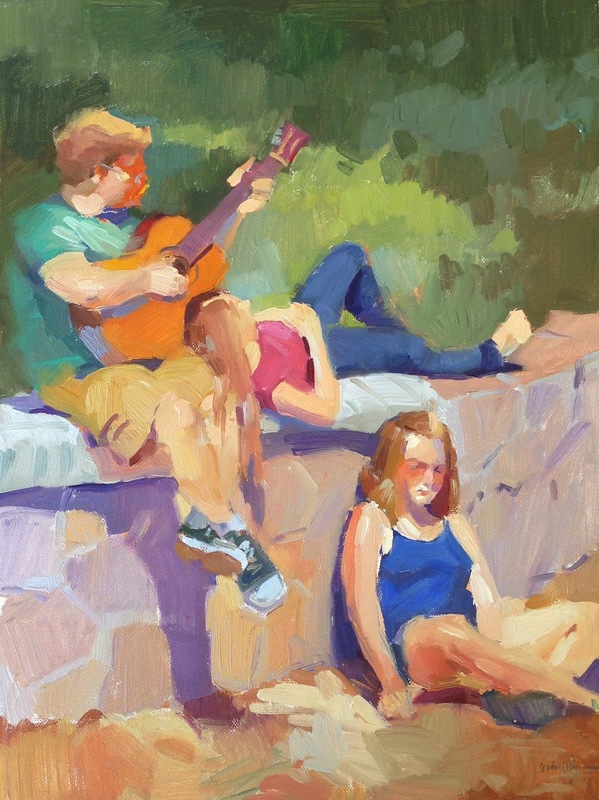 Last summer, I taught a workshop on painting the figure en plein air, but it didn't end up being outside because of weather. The light outside is so much more colorful and random than anything the studio can provide. And here's the finished product! I was happy - and hot. 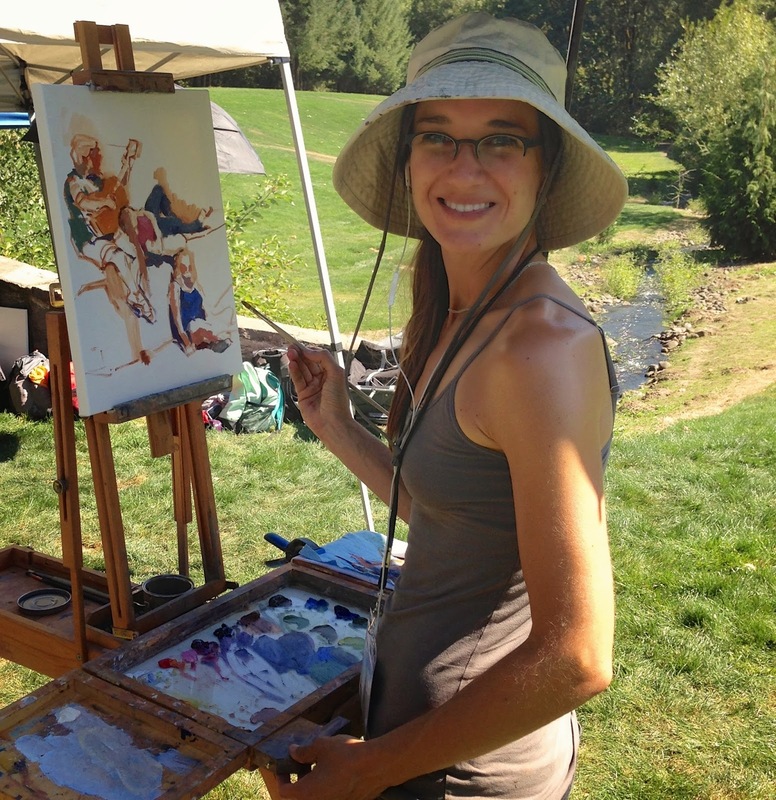 The Hillsboro paintout folks were very attentive to both artists and models, providing chilled water and lots of sympathy, but secretly all of us Oregonians were enjoying the unseasonal September heat. 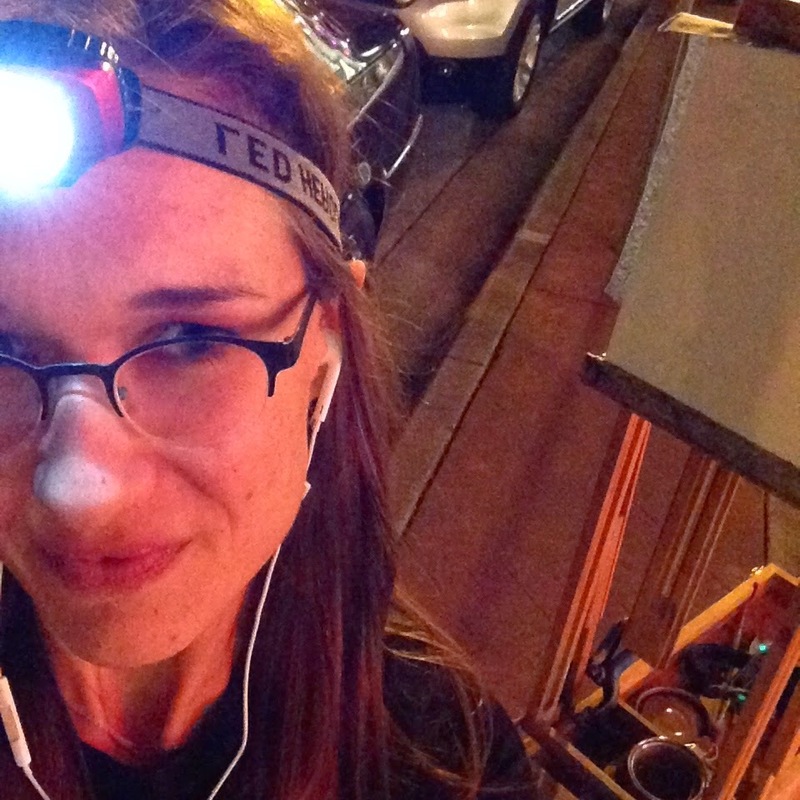 I could see my subject well enough by the ambient light from the shop windows, and my headlamp alternately illuminated my palette and my canvas (as I looked up and down), but I still wasn't entirely sure what I'd done until the next morning! Hey, that happens at home in the studio, too, with being exhausted. Bright and early the next morning, there was another Tableau Vivant, this time with models in historical costumes. Being a huge Anne of Green Gables fan since childhood, I was captivated! 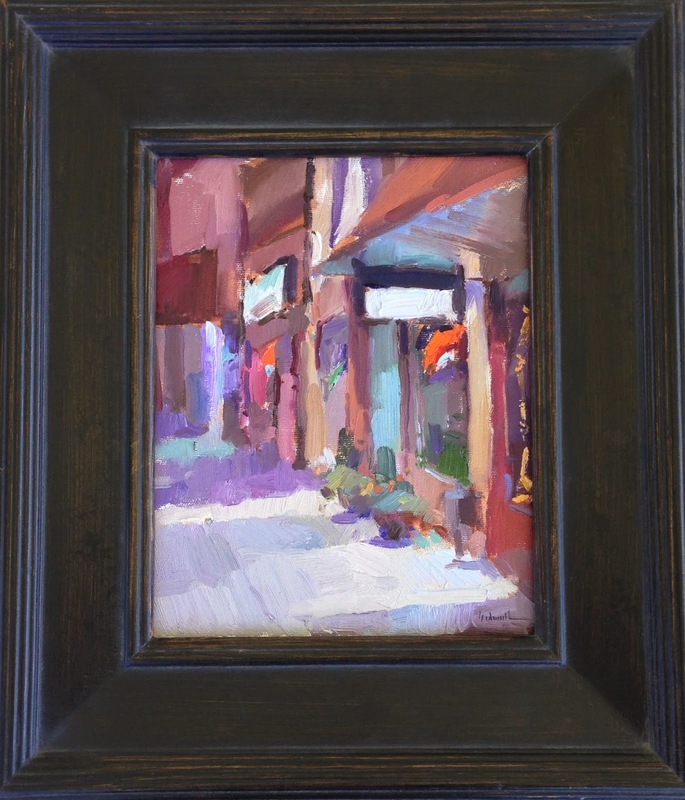 The whole thing began at 9:30 am, and I was out warming up even earlier - wandering the local farmer's market and painting some early light. My flip-flops were off and my toes were in the grass by 10 am, and it was sweltering! 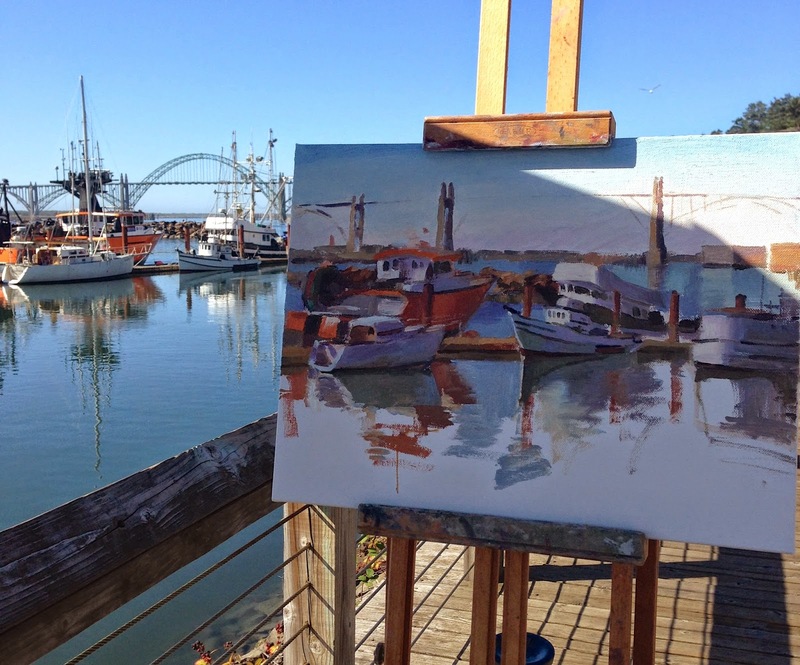 What a great late summer paintout. And here's the finished product from that session, which lasted two hours! How those ladies made it in their costumes, I don't know. But I hope they enjoyed some of the good farmers market food that I did after it was all over. All of these pieces are for sale, although they will be on view in Hillsboro at the Walters Cultural Arts Center until November. So contact me if one captures your fancy! I saved the best for last, location-wise, on this trip to the coast. I love the fishing boats in Newport harbor, but the best light (and fewest tourists) are in the early morning. Which I've had to discover by trial and error. Lots of walking around thinking about painting and not doing it. 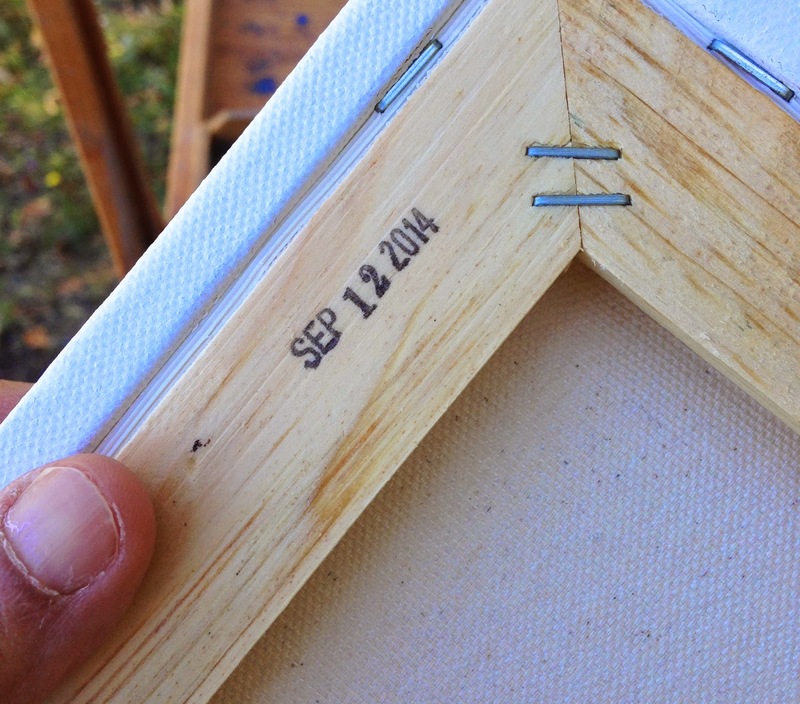 Picking a perfect painting spot seems to be more a matter of serendipity than science. Why can't someone just come along and tell me exactly where to stand? When I showed up to paint these boats, serendipity was on my side. 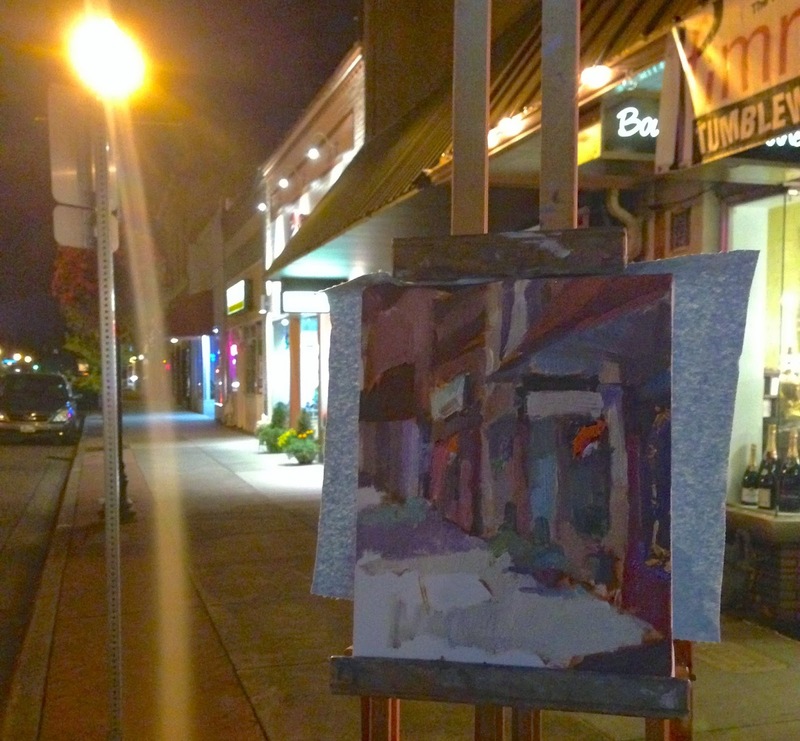 I parked my car, wandered directly out onto the boardwalk, and saw my painting in front of me. Sometimes you find yourself in the right place at the right time. I've had issues with Seal Rock in the past. Fog, Food poisoning....bad paintings....but Seal Rock is my husband's favorite beach on the Oregon coast, because the enormous yellow rock protects the beach from wind, keeping it warm enough to frolic on (in bathing suits, which no one would dare wear on the OR coast, except Jesse and Ellie, because they are extremely warm-blooded, and also crazy). 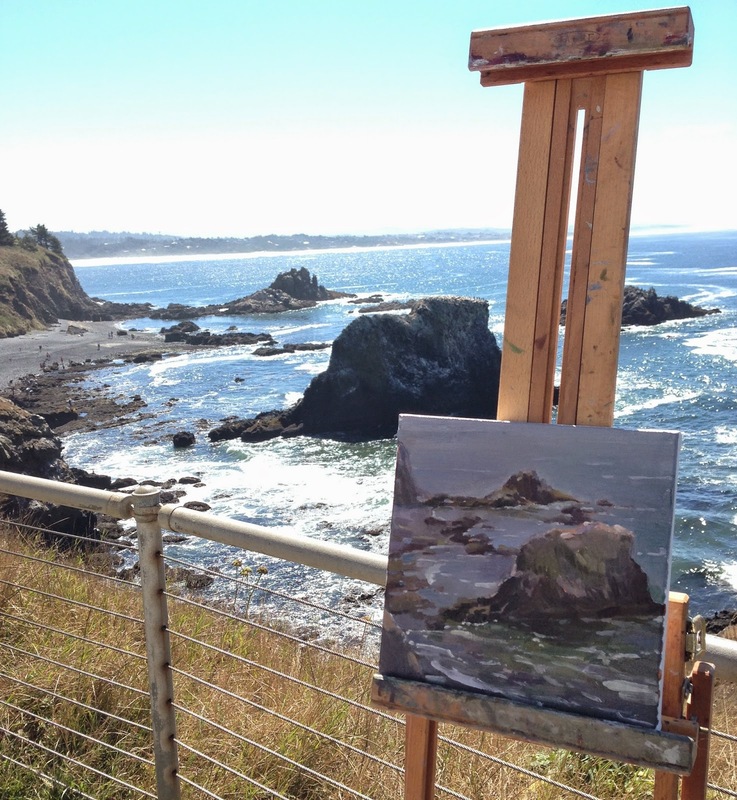 To keep out of the wind, you have to climb down a nicely paved path just south of the rock itself, but for this painting, I set up a quarter mile down 101, at a viewpoint off the highway. 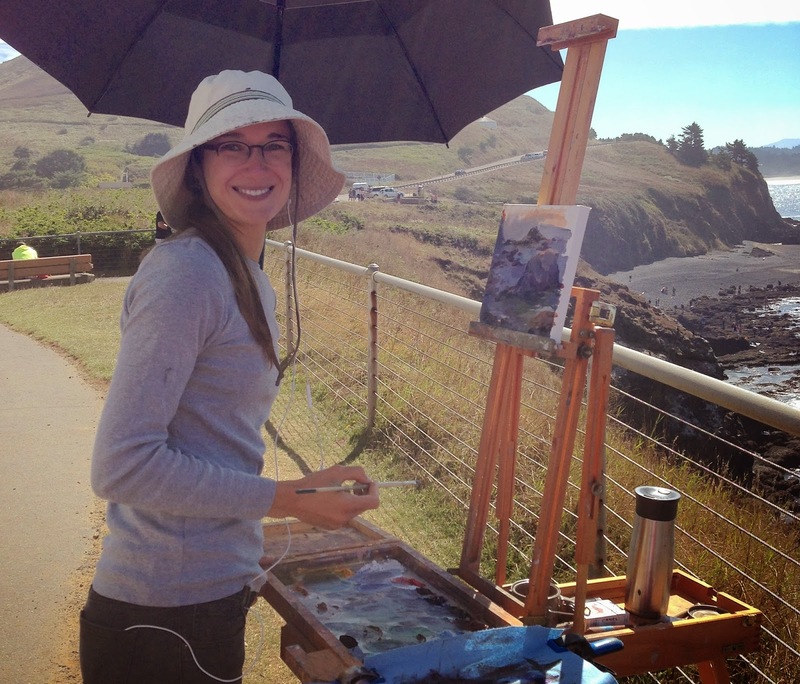 I climbed over the guard rail and planted my easel and umbrella in the clifftop dirt. It was a great spot, and a not-too-windy day - considering - luckily I stayed upright long enough to sketch this in. I also enjoyed talking to the many photography enthusiasts who seemed to know the spot well. Ah, Seal Rock. I may finally have figured out what my husband sees in you! 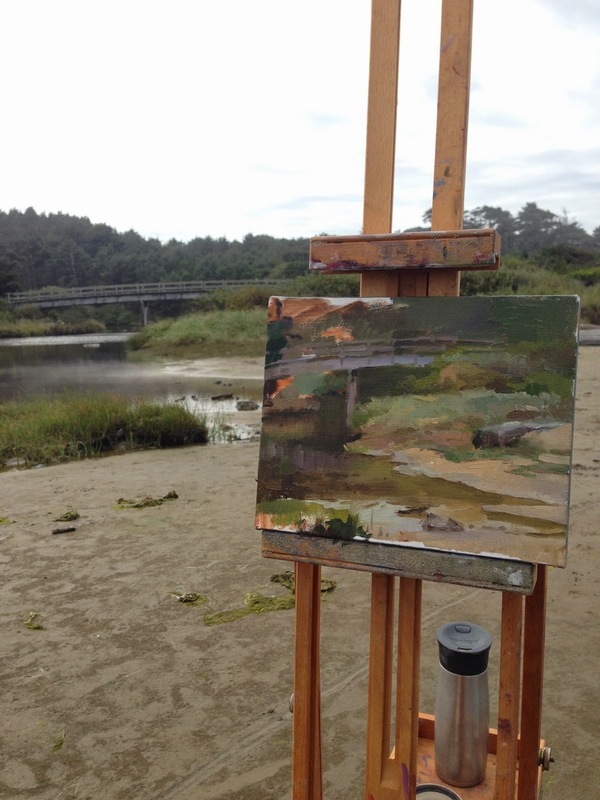 "The Bridge to Ona Beach"
After the excellent time I had painting the coast back in July, I was determined to return before the end of summer. And I did, last week! 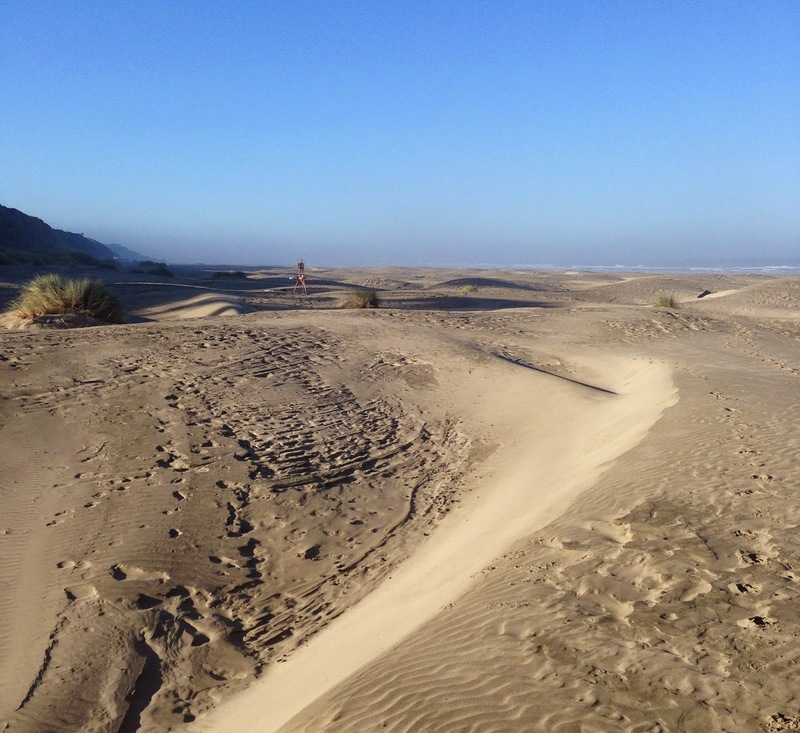 I started out at Ona Beach, a lovely spot just south of Newport, where Beaver Creek meets the sea. 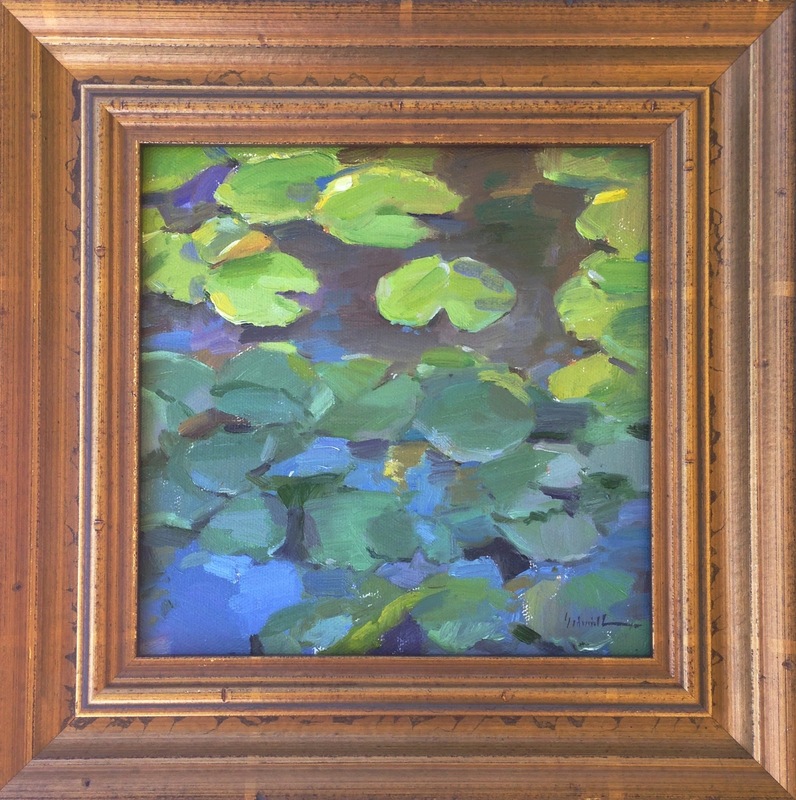 Colorful kayakers crossed through my painting several times during the morning, and a group of boisterous kids built a campfire nearby, sending smoke signals across my view. Also there were clouds. Moving clouds. But how could I complain? I was in one of my favorite places on earth, doing the thing I love to do more than anything else. It was bliss - and a great way to warm up for plenty more coastal action. Well. This paintout was a blast. And it was three weeks ago. Bad blogger! 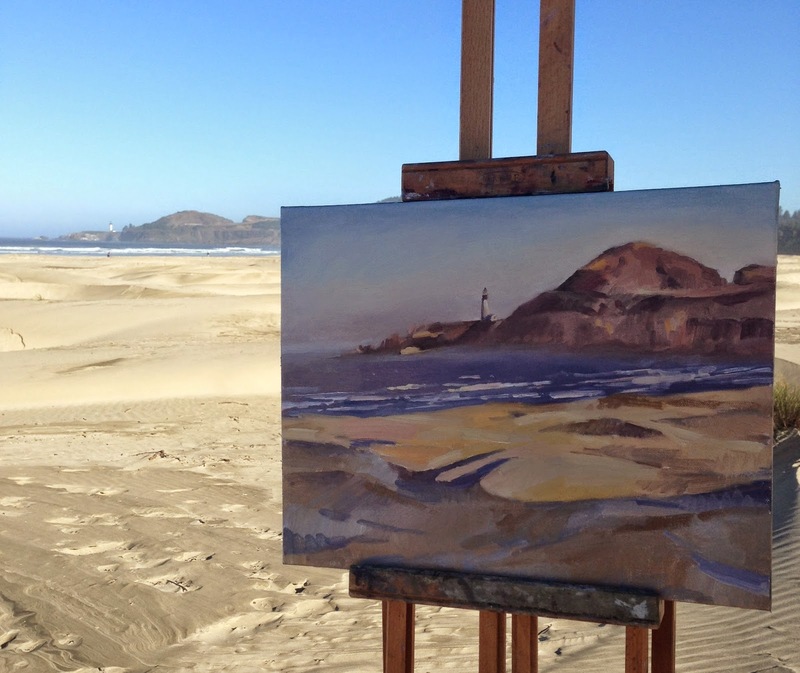 Since then, I have been to the coast to paint (much more on that tomorrow), and to the Bay Area for a wedding. 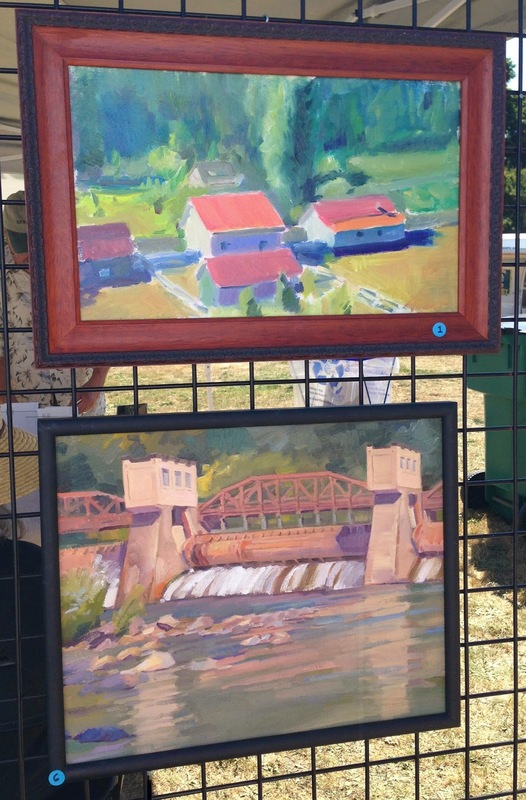 Also plenty of other stuff that I can't even remember right now because I'm busy planning my next adventure: the Hillsboro Plein Air Plus paintout, which is this weekend in Portland! But back to three weeks ago...The McKenzie Art Festival paintout is a nice event, in conjunction with a sweet little arts festival with live music and a display of vintage RV's. 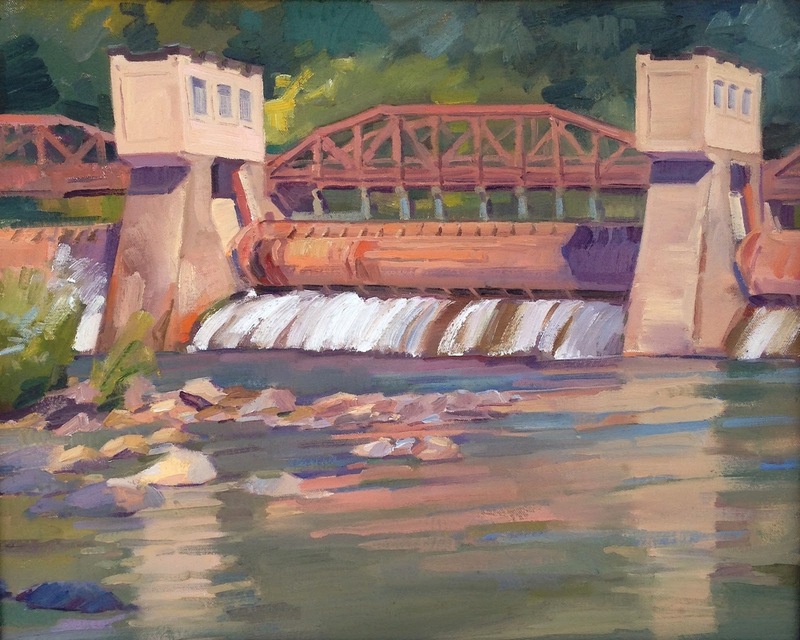 I arrived early to get my canvases stamped, and headed out to find a good spot, finally settling on the Leaburg dam. 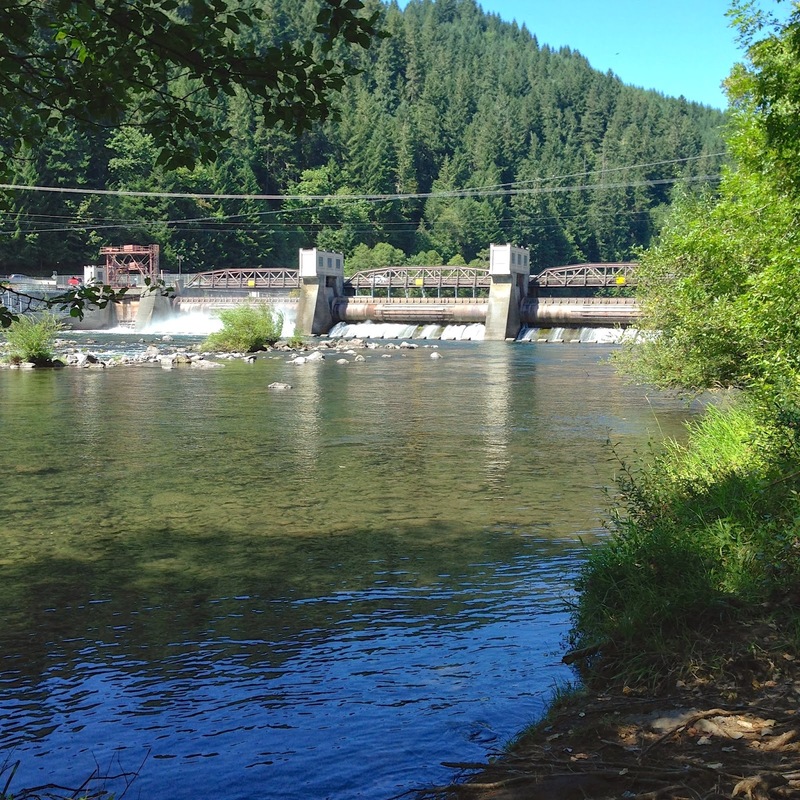 A picturesque spot - but more importantly, a spot with parking, porta-potties, and SHADE! With only seven artists in the contest, I still felt honored to take third place. 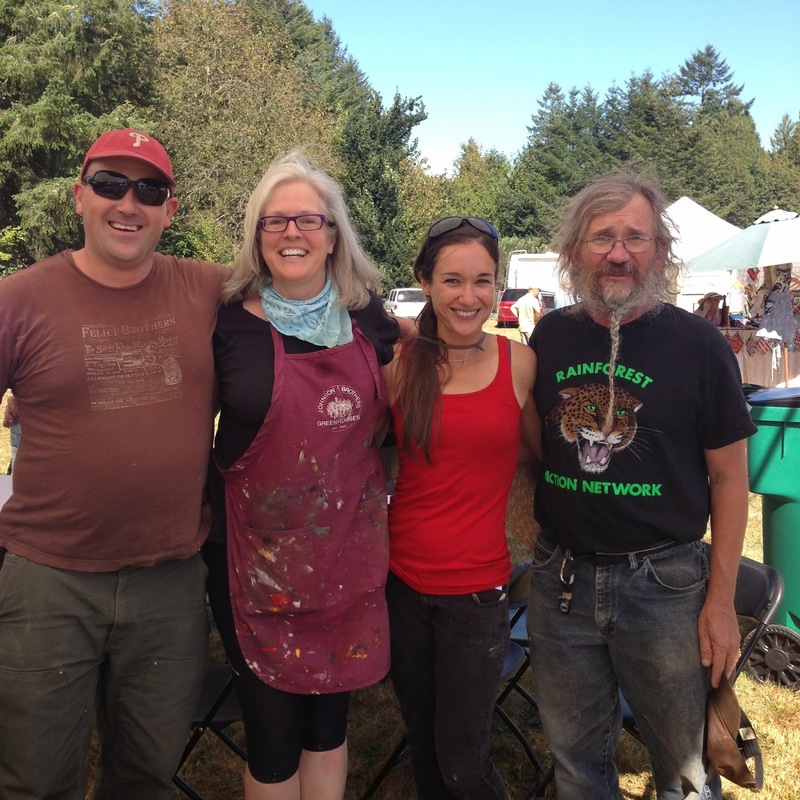 Here I am in the winner's circle, with friends Farley (1st place), Patti (juror), and Brent Burkett (2nd).